When I send a note to someone I like to make a card. For a while I had needed to send cards to two different people. So one day I finally sat down, picked out cards to make, and made them. 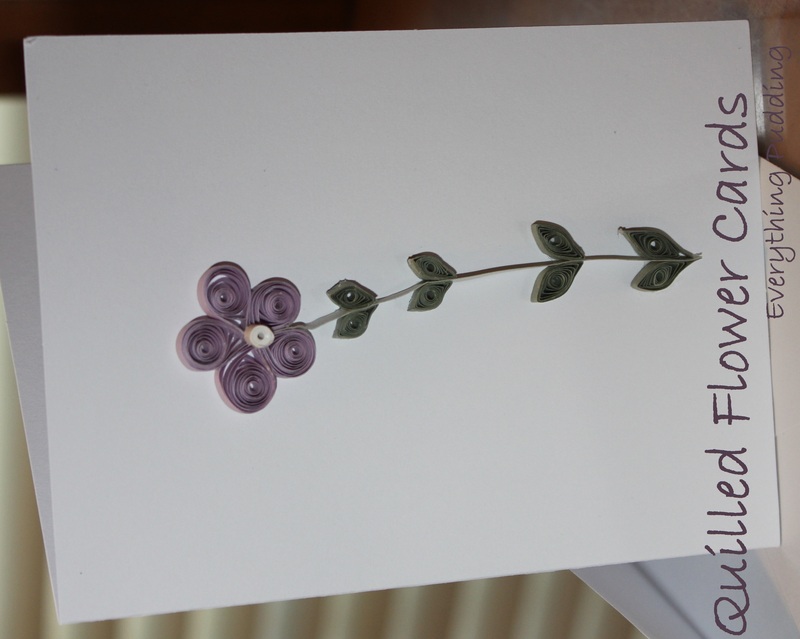 I looked through one of my quilling books: The Art of Paper Quilling and found a real pretty design which I snapped a picture of for you to see. This design was actually meant for a frame, but I liked the flowers so decided I would take two of the flowers, make them, and put one on each card. The purple one I made was actually from modifying the middle flower in the picture. I didn’t have the right colors so I used what I had on hand. I think it turned out real pretty. The second one I made was using the design for the fourth flower in the pictures. I really liked how it looked using two different pinks and the bunny ear flower petals. The leaves were done using a technique call fan husking. They took the longest to do but I like the way they look. I think both the cards turned out real nice. I had so much fun making them. 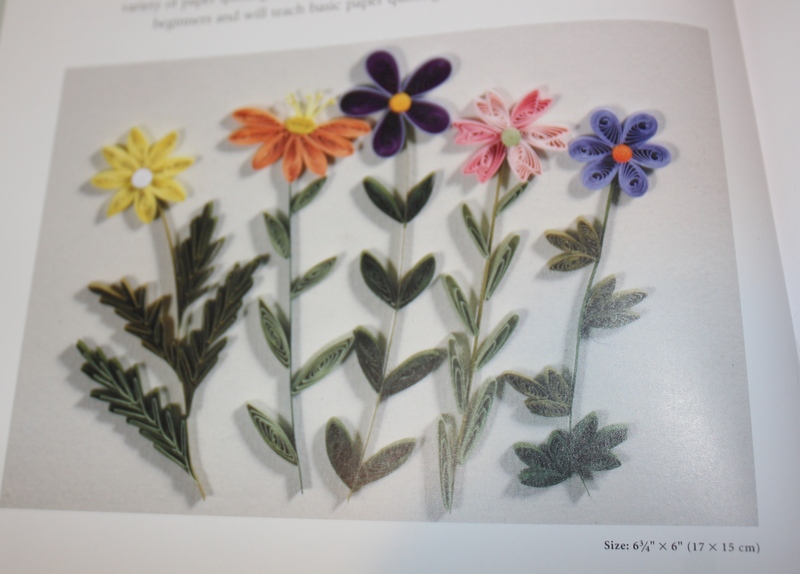 If you want to make them the instructions for these flowers and lots of other cute designs for frames, cards, place cards, and little paper gift bags can be found in the book: The Art of Paper Quilling. I purchased mine at Hobby Lobby but I don’t think they sell it anymore so I linked it to amazon’s page for the book.